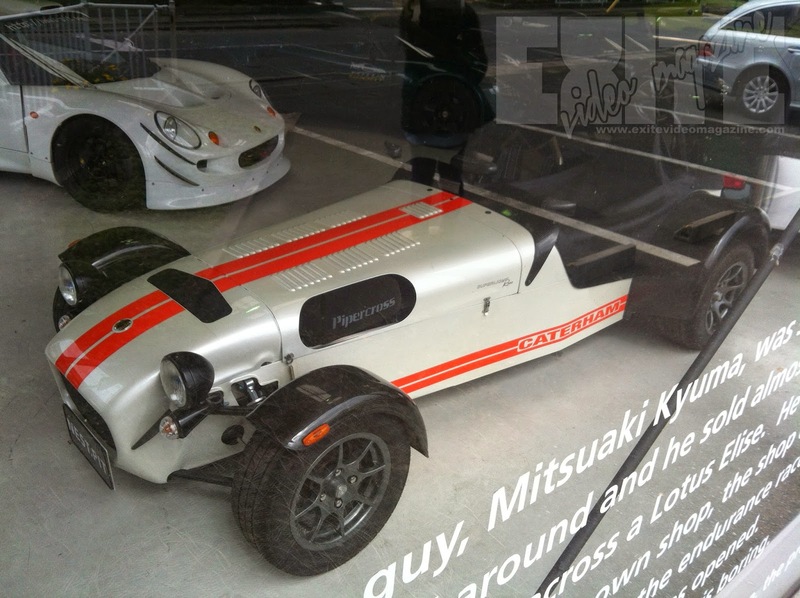 "In 1992 a guy, Mitsuaki Kyuma, was seduced by an English sport cars and he opened his shop with only 500,000 yen. Word spread around, and he sold almost 60 Caterham7 by 1996. 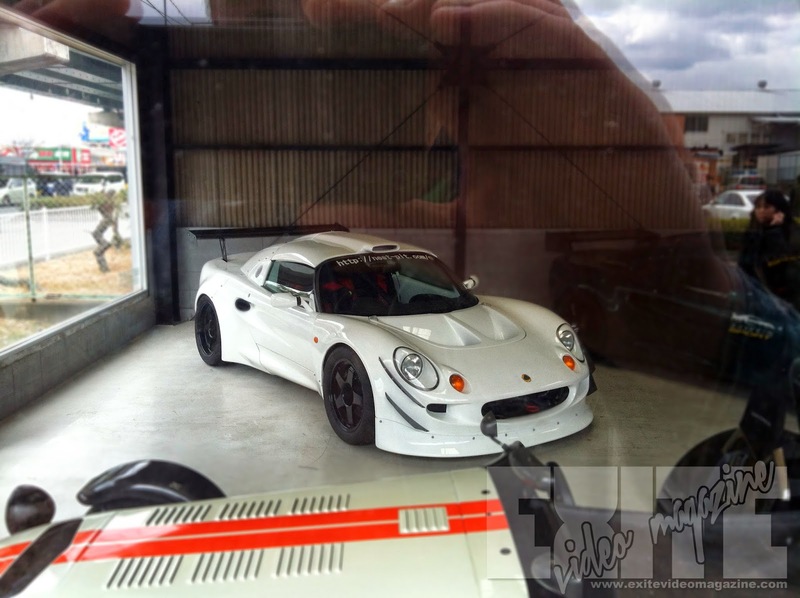 In 1997, he came across a Lotus Elise. He started to race his Lotus at circuits and achieved good results. In 200 he opened his own shop, the shop of his dreams, in Nagasaki. 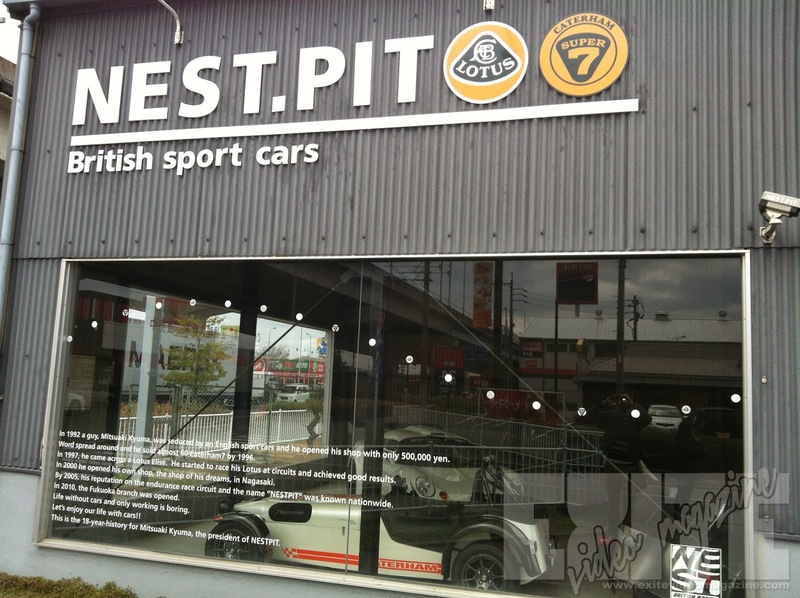 By 2005, his reputation on the endurance circuit and the name "NESTPIT" was known nationwide. In 2010, the Fukuoka branch was opened. Life without cars and only working is boring. Let's enjoy our life with cars! This is the 18-year-history Mitsuaki Kyuma, the president of NESTPIT." 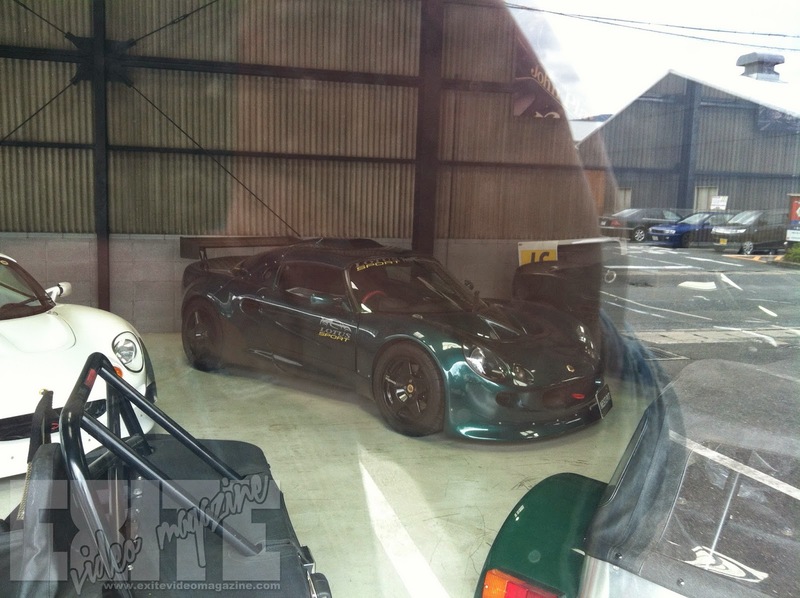 Looking at the pictures below you can see some nice examples of Lotus Elises and a Caterham7. And this is a car blog, but those words on that window mean much more than these pictures of the cars, so I want to focus on those. At first glance, this is a nice shop that sells gaisha, or foreign cars, in Japan. But past that, this is the culmination of a man's dreams. Dreams that he chased for 18 years, up to this point. I don't know about you, but this is so inspirational. I was talking to a close friend back in the states, and I told him I just wish I had started realizing what I want when I was in my 20s, and not waiting until I was 31 to chase my dream with such passion. It would have been nice to start drifting at 20 or 21, instead of waiting until 31 to really start. I told him I'm afraid I'm getting too old. I'm building a drift car in Japan. I have an amazing girlfriend that will soon be my wife. She doesn't necessarily like cars (not like we do at least), but she's trying her best to support me. I've finally gotten the blog off the ground, and somewhat of a video channel going on at youtube.com/exitevideomagazine . This blog has been a dream of mine since 2007. It's not where I want it to be...but I won't give up. I'm just tweaking it a little bit at a time. But that is a lot to accomplish in 2 years, and with a little help from my friend I don't intend to give up, in the same way that Mr. Kyuma never gave up. So my friend tells me, you're never too old, unless you say you are. Go out and do with your life what you want to accomplish. And then I see the pictures here for this article, and the first thing that pops out is that text on the window. Mr. Kyuma never gave up. And neither will I. Never enough. Follow your dreams, friends. No matter how big or how small.... find a pursuit and follow that dream to the gates of hell... and NEVER EVER GIVE UP.